My clients love all things design and cannot wait to express their personal style through their florals. In between dreaming of their someday home while catching up on Saturday-morning HGTV, checking out the latest styles on Instagram, or thrifting at their favorite local shop, my clients lead a full life, balancing busy careers, enjoying time with friends, and planning their wedding. They are working with me because they know I will beautifully style their floral vision and execute it impeccably with a seamless, ultra-professional process. I‘m Kim Spangler, and I own Branches and Blooms Design. I’m based in Doylestown, Pennsylvania and serve the amazing surrounding venues in Bucks County and throughout the Philadelphia to NYC corridor. Let’s make your wedding florals fab. Click here to inquire about booking. Allyson and I worked seamlessly together to translate her bridal party color story to her florals. It’s always so inspiring to work with a client who has such a cool design viewpoint that I get to bring to life. I picked up the burgundies, dusty mauve, and golds through some gorgeous local dahlias from The Two Barn Farm. And that king protea. So good. I loved working with Abigail Gingerale Photography on this beautifully boho wedding! Does beautifully boho perfectly describe your quintessential style? Click here to inquire about booking. I wrapped up 2018 with this absolutely stunning wedding at The Booking House in Manheim, Pennsylvania. 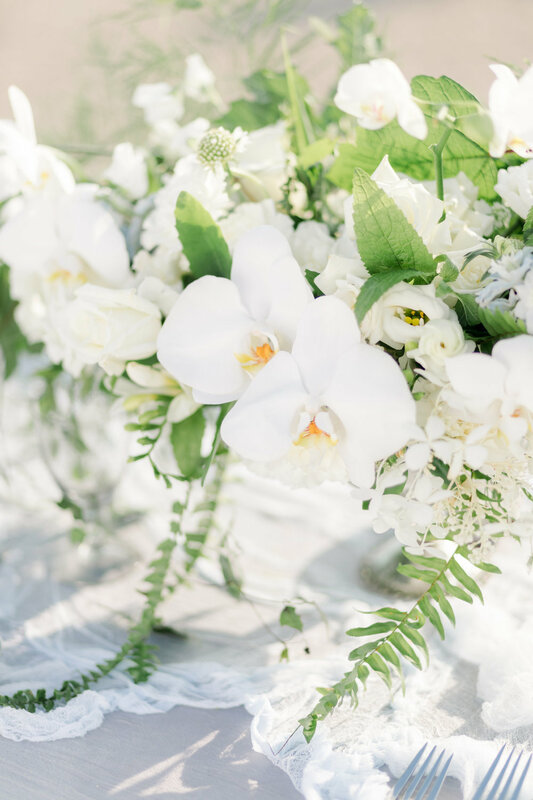 Hazel Lining Photography captured the florals perfectly. My bride, Emma, was flawless. I love how we mixed Emma’s style of these romantic florals with this gorgeous lace dress against the industrial walls of the Booking House. Dreamy gauze fabric ran down the farmhouse tables and lush greenery was used as garland. And the mantel was perfection. So chic. Is Artisanal Romance your style? Click here to inquire about booking. My clients, Gabriela and Jeff, had a gorgeous avant garde vision for their floral design at their wedding at Durham Hill Farm in Pipersville, PA. I combined greenery with rich gold metallics and a touch of boho chic for the coolest result. The arch was adorned with striking Italian ruscus, and a gauze fabric drape was used to soften the look. Ferns in metallic planters graced the arch and defined the space. Gabriela is a sought-after photographer in her own right, and she chose the fabulous Alex Medvick Photography to capture their day. Do you love this edgy avant garde look as much as I do? Click here to inquire about booking. Kristin and Josh were married in a beautiful wedding at Durham Hill Farm in Pipersville, PA. I used a rich jewel-toned palette of anemones, freesia, snapdragons, and trendy carnations to bring elegance to this refined countryside soiree. The centerpieces in rose gold compotes were so gorgeous, and the elegant arch, draped with white flowing fabric, perfectly framed their ceremony. Erin Joyce Photography captured these beautiful photos of the wedding and was a pleasure to work with. Are you looking to elevate your rustic vibe? Click here to inquire about booking. I worked with Nikki and Erik to bring their wedding vision to life, selecting elegant Juliet David Austin roses to pair with pure white sweetheart roses and on-trend carnations in pink and peach tones. Nikki loves eucalyptus, so I layered in both silver dollar and gunni eucalyptus to my designs. The mothers wore fab rose wrist cuffs as an alternative to dated corsages. And can we please talk about how gorgeous our bride and groom looked?! 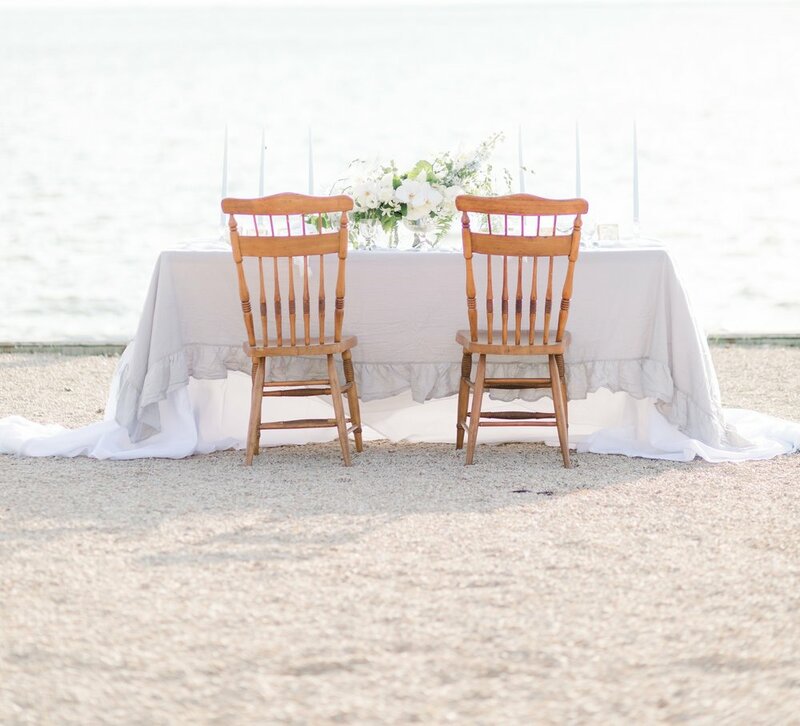 Jessica Flynn Photography captured this day so perfectly. I love Nikki and Erik’s love and am so looking forward to watching Nikki and Erik’s love grow even more. 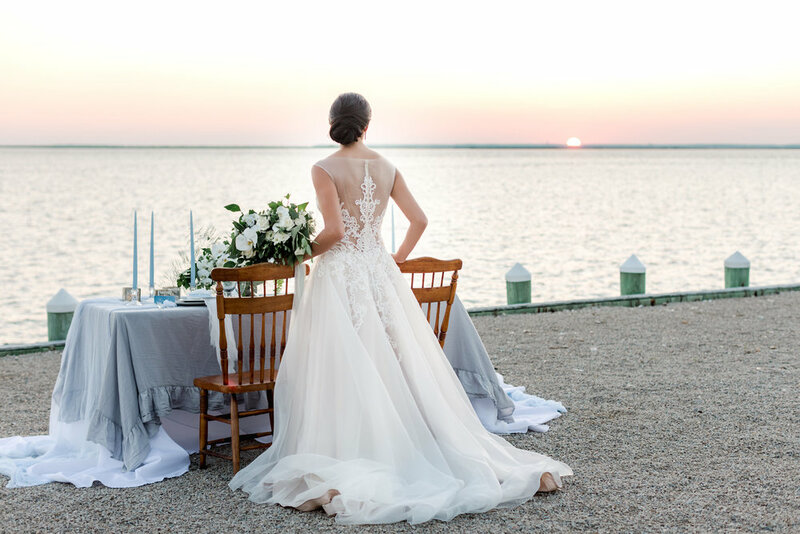 Is a classically pretty, timeless wedding your vision? Click here to inquire about booking. 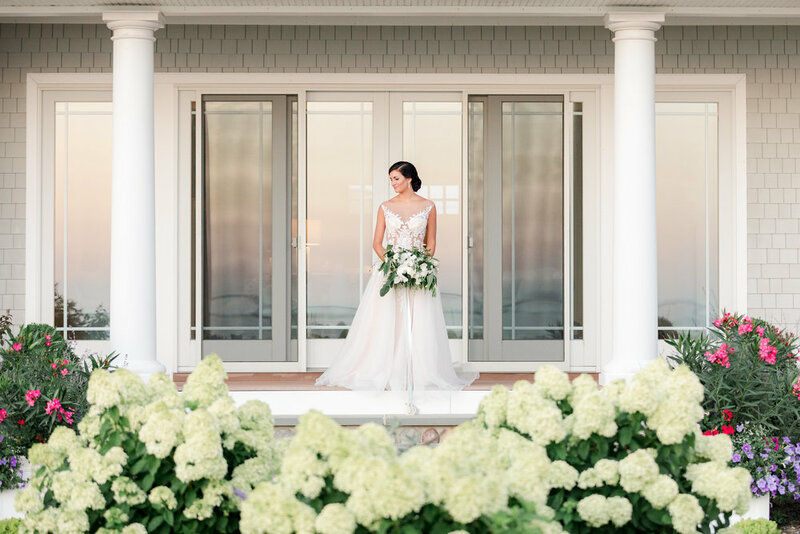 I flowered an editorial shoot at an incredible private residence in Beach Haven, NJ, using greenery from the Branches and Blooms Design gardens with fabulous white roses and sophisticated orchids to give an airy and elegant feel for the bridal bouquet and the tablescape. This night was one I will not forget. The breeze coming in off the bay and the glorious sunset were unparalleled. Alyssa from Hope & Stay Photo captured these photographs. Book her if she is available. Her work is the best. Simply stunning. Do you dream of ocean views and gorgeous neutral palettes? Click here to inquire about booking. When you book a DIY package with me, I will set you up for success. 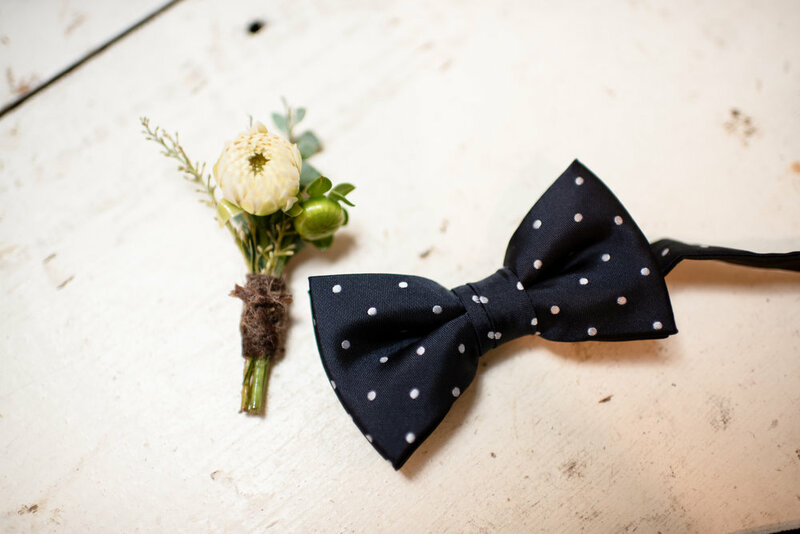 We’ll work together prior to the wedding or event to put together a package that will decorate your venue perfectly, and I’ll take care of the hard parts. Using my design expertise, I’ll help you select the perfect seasonal blooms and provide you with recipes for each item. You won’t need to worry about sourcing any of the flowers or mechanics. I’ll do all that for you. The week of your event, your bulk flowers, containers, and other rental items (candles, linens, decor fabric, etc.) will be available for pick-up at my studio in Doylestown, PA. For this wedding, I was happy to provide the client with a hybrid package where I designed some of the highly photographed items (such as the bridal bouquet), and she DIY’ed the rest. Julie Floro Photography captured these breathtaking images at Durham Hill Farm. Are you a DIY lover? Please reach to to me to inquire about booking. I also offer private lessons prior to your wedding or event to teach you the tricks of the trade. If you’d like a lesson, please just mention it in your message!